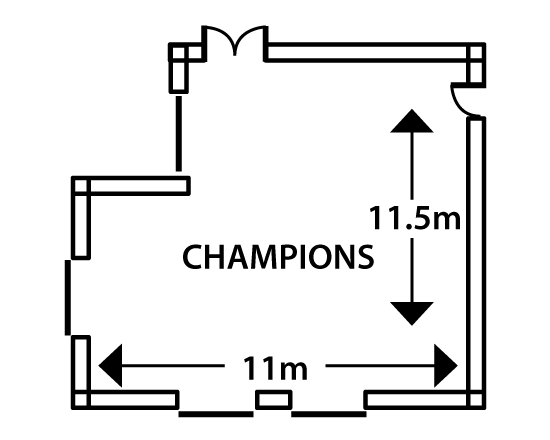 The Champions Room can cater for up to 50 guests depending on the seating arrangements. The Champions Room includes a screen and natural lighting. Ideally suited for smaller corporate conferences, product launches and corporate meetings.